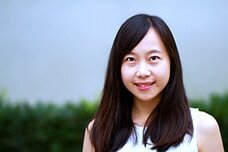 Ying Xu is a doctoral student in the Language, Literacy, and Technology (LLT) specialization. Her research interests broadly center on the areas of technology assisted language learning, digital literacy, and learning analytics. Ying earned a bachelor’s degree in Chinese Linguistic and Literature from Sun Yet-Sen University, China, and subsequently earned her master degree in the same major. Post-graduation, she worked in a digital publishing company, designing educational software for young children. Additionally, she participated in research projects to investigate the affordance of interactive digital media for children within a wide age range. These experiences inspired her interests in technology and learning, and further motivated her to pursue a doctoral degree in the field of education.